Nirvana was nominated for "Best New Artist in A Video" for the 1992 MTV Video Music Awards, so it could be that aerial debacle during their performance at the ceremony was just the result of nerves. 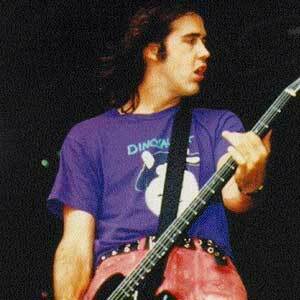 Bassist Novoselic tossed his instrument in the air to get the crowd going...and then gravity returned it to his face. To add insult to (literal) injury, Kurt Cobain kicked the guy when he stumbled off stage after the incident.